The anticipation of Mamma Mia 2 – Here We Go Again movie release, hit the nation hard as the thirst for all things associated with ABBA continues to grow with music and film buffs from 8 to 80. Exactly 10 years since the release of the first movie, based on the award winning stage musical before that, it seems that this along with the exciting new that Abba are to release 2 new songs; Abba fever has once again struck passionate Mamma Mia fans worldwide. Mamma Mia – Here We Go Again was released for screenings at the cinemas across UK in July 2018. 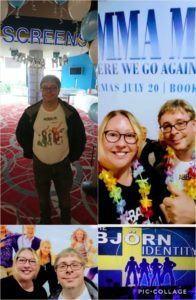 The Odyssey Cinema Belfast made one exception and the fever was hot, when a perfect marriage of Abba fans VS Mamma Mia movie fans was Bjorn! 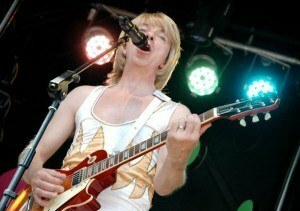 The Bjorn Identity ® now undoubtedly Irelands most popular Abba tribute show continue to exceed all expectations with their authentic replication of ABBA in concert. 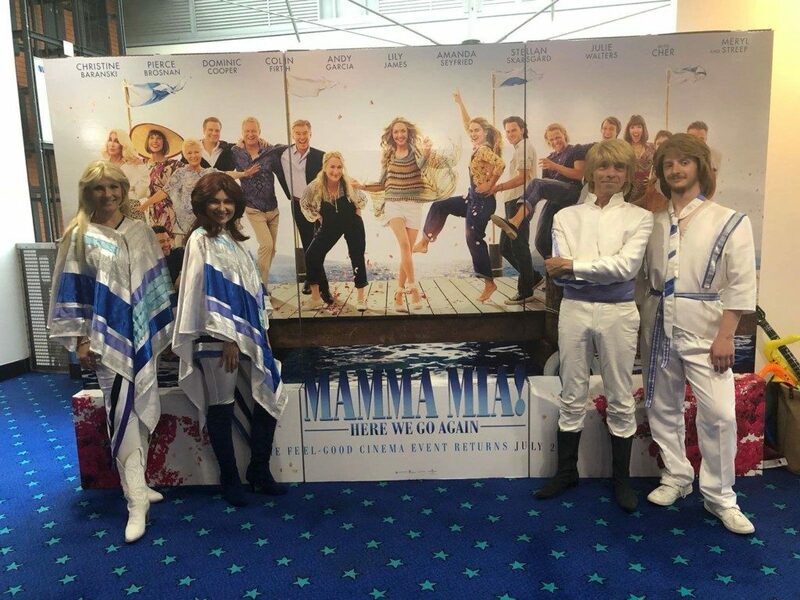 Expectations were indeed met as they were invited to perform at a special Mamma Mia Ultimate Abba experience – one off live tribute show & screening event at the Odyssey Belfast, Northern Ireland. 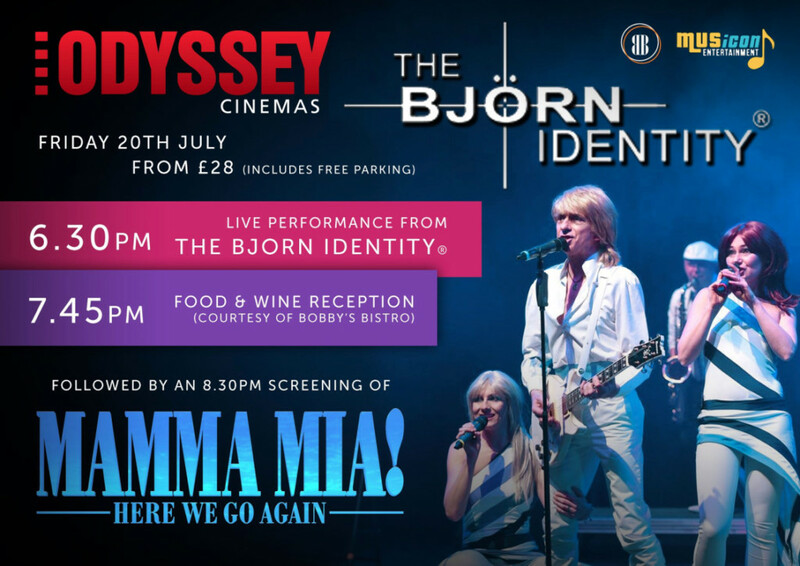 The Bjorn Identity Live show, as much food and drink and you can eat supplied by Bobbies Bistro and screening of Mamma Mia 2 was the perfect event hosted by Odyssey Cinemas and after a smash hit performance from Ireland top Abba tribute show. There is no doubt this will be the last event of this kind. “Thanks to all the staff last night, who worked so hard to make the premiere of Mamma Mia such fun! The food was lovely and so too the wine! 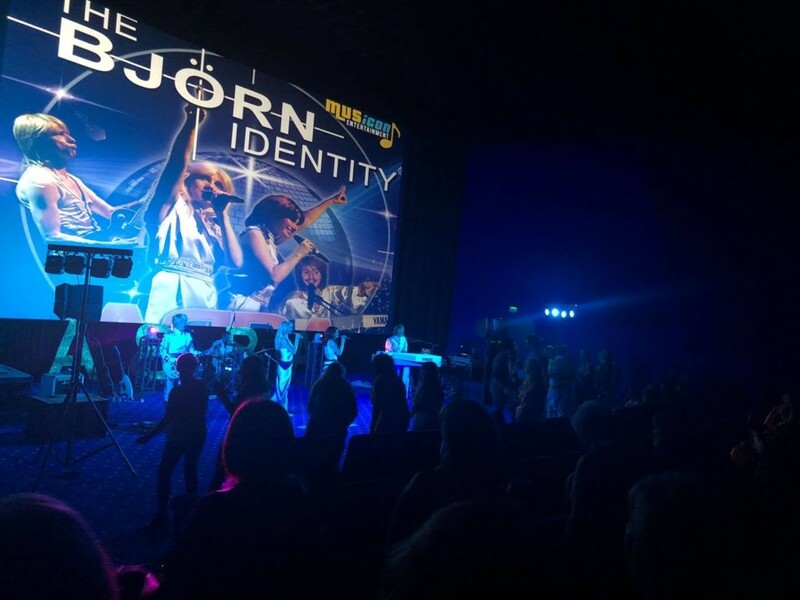 Great idea to invite The Björn Identity to play – they really warmed us all up! A fantastic night, thank you!” — Jeremy Skillen. WHAT DID BJORN THINK OF THE MOVIE? “It was fun, beautifully shot, clever and very moving. We adored hearing some of Abba’s lesser known hits like, I’ve Been Waiting for You and My Love My Life… by that point I was passing my wife Karen, the tissues! We hope to be able to include some of these songs in our up and coming tour” added Richard Doubleday – Bjorn and Musical Director.